Abdalla Fellah has been re-elected as head of the Libyan Business Council (Photo: LBC). 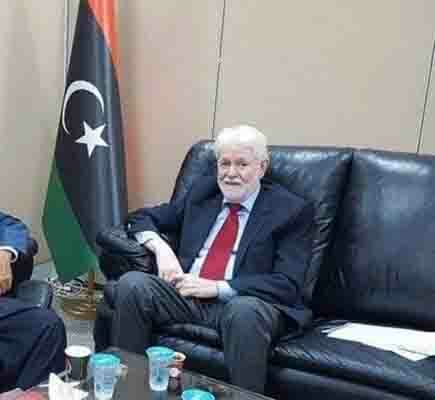 The Libyan Business Council (LBC), the only legally recognized business council in Libya, announced Monday evening at a press conference in Tripoli the final results of its elections for membership and leadership of its General Assembly and Board of Directors. The elections took place on 8 October simultaneously in Tripoli and Benghazi using a list system. Members of the LBC were also able to vote from overseas. The results returned Abdalla Fellah as Chairman of the Board of Directors of the LBC.